Google is all set to don a different look. The internet numero uno has unveiled a new logo just weeks after a surprise reorganization under a newly-formed parent company called Alphabet. Here's all you need to know about the company's new logo. 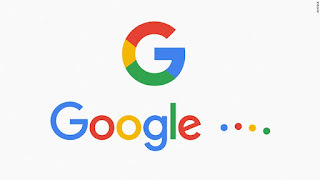 The revised design features the same mix of blue, red, yellow and green that Google has been using throughout its nearly 17-year history, though the hues are slightly different shades. The overhaul will change the appearance of the letter 'g' that Google uses as its shorthand logo on the smaller screens of smartphones and other mobile devices. The letter 'g' will now be capitalized and displayed in colour instead of being kept lowercase and white. Google believes its new logo will provide a more versatile identity suited for seamless computing across devices. As the company said in a blog post, "Today we're introducing a new logo and identity family that reflects this reality and shows you when the Google magic is working for you, even on the tiniest screens. As you'll see, we've taken the Google logo and branding, which were originally built for a single desktop browser page, and updated them for a world of seamless computing across an endless number of devices and different kinds of inputs (such as tap, type and talk." This is the sixth time that Google has changed its logo since Larry Page and Sergey Brin formed the company. However, the current redesign change marks the most noticeable change since the company dropped an exclamation point that appeared after its name until May 1999.